[Updated] 11 Shipping Days left – is your Peak planning holding up? Can autonomous trucks and drivers exist in harmony? How is technology improving your cold chain? Is your Transport Network value creating? You know your 3PL from your 4PL, but what about 5PL, 6PL and 7PL? When last did you talk to Marketing? When is big abnormal, and what should you be doing about it? Can your transportation be strategic? Building Logistics Robots – Reality or Science Fiction? Connecting Today’s Reality to Tomorrow’s Possibility: Launch of SupplyChainForesight 2017 Changes Format and Embraces Technology. 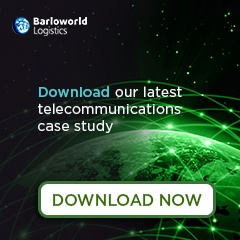 Barloworld Logistics' Celebrates a Ground-Breaking Road to Rail Initiative. Supplychainforesight 2016 Report Reveals the Universal Alignment of Supply Chain Strategies with Business Strategy.